Build done but could not see apk .why? but could not see any apk on path. You will not see your APK File unless you build it with Cordova Android not with Ionic Serve. Please Note that it will take time depend on your envrioment. So wait until it says it is finished. It will also tell you the location of your APK file at the end. I could not see a folder named ‘build’ inside platforms/android/ . I waited upto stop the processing … unused ‘variable’ or unused ‘import’ is a problem ? Can you post the whole output when you run ionic cordova build android --prod? Not just screenshots but the actual text. The problem is that we dont get any good information. No Error Messages? Or anything? Becaus there are hundrets of reasons why you cant build your Application. Maybe a failed installation of Android Platform? ✔ cordova prepare - done! ✔ cordova build android - done! Two things to try, remove the platforms/android directory and try to build again. If that doesn’t work, can you at least open ‘Android Studio’ just to make sure that’s working at all? I tried by removing it. i deleted android folder inside platforms. It created by build process. The the Error is somewhere in your Code. Try to create a new App and build it. If it works you at least know your Error is in your Code. Try creating an APK with that instead. That’ll prove-disprove any config / coding issues in your own app. There is a config issue with your computer. Are you able to manually open Android Studio? If so you should be able to open the project and run it at the very least. Try that. It’ll be something like a missing PATH or something. Also the more recent post of yours, are you actually running ionic doctor check? (node:3954) [DEP0018] DeprecationWarning: Unhandled promise rejections are deprecated. In the future, promise rejections that are not handled will terminate the Node.js process with a non-zero exit code. [OK] Your app has been deployed. Did you know you can live-reload changes from your app with --livereload? Seems you dont have Installed Android Studio with correct Permissions or something? Ionic tried to install the gradle wrapper (which is needed to build an APK) because it couldnt find one on your Envrioment. Error: Promise Rejection. Which means that something with your Permissions is wrong. Either on your Envrioment or either with your Ionic or Android SDK. Does Ionic have the Permission to install something on your Envrioment? Building on apk show success message. But apk not create . Why? Try installing gradle and include it into your path. It has a tutorial how to do it in Linux. 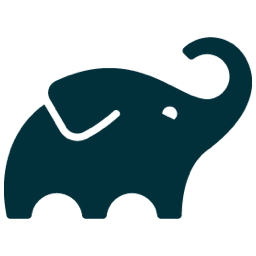 Install the Gradle build tool on Linux, macOS or Windows, either manually or using a package manager like SDKMAN!, Homebrew or Scoop.